Though a few parks include sections of Alaska’s vast coastline, two were established primarily to protect the tidewater glaciers, rocky beaches and forested hills of Alaska’s Southcentral and Southeast coast. It makes sense that Glacier Bay and Kenai Fjords national parks are most easily visited by some type of watercraft. The small sightseeing ship I was on motored out of Seward’s harbor and into the calm water of Resurrection Bay. Gray weather and fog hung low over the mountains, obscuring the high peaks. We made stops at seabird colonies, where puffins and murres flew in and out of cliffside nests. We observed minke and humpback whales on several occasions as they blew and then dove within spitting distance of the deck. I thought the gray weather and drizzle would dull the colors of the glaciers, but I was wrong. The ice glowed. We visited several over the course of the day, and watched as towering pillars of ice plummeted like dominoes into the water. The sound, delayed by distance, reached us moments after the columns began to fall. With the engine off, each crack of the ice sounded like gunshots, each splash, a roar. Propped against the Canadian border on the east and the waters of the Pacific to the south sprawls the nation’s largest national park: Wrangell-St. Elias. Wrangell-St. Elias is big. It extends in the south from the shore of Icy Bay, where the park’s namesake peak—18,008-foot Mount St. Elias—rises from the coastal forest and reaches north into the Alaska Range and the upper Tanana/Yukon River drainages. Two dead-end roads penetrate into Wrangell. The longest provides access to the village of McCarthy and the historic mining district of Kennecott. Farther north, Nabesna Road reaches south from the Tok Cutoff. Over 42 miles, the gravel Nabesna Road approaches the park’s big mountains and crosses from the Copper River to the Tanana River watershed. A lone wolf catches a nap in Denali National Park. A few years ago, I spent the Fourth of July weekend on the Nabesna. Campgrounds in Alaska, like anywhere, can get crowded over the long holiday weekend, and yet my partner and I found the Nabesna Road gloriously empty. We camped for three nights at different points, and not once did we share a campground. We awoke in the morning to views of the mountains, and spent days hiking or fishing for grayling and Dolly Varden in the many creeks. North of the Arctic Circle in the wild Brooks Range lie the two least-visited national parks in the country. Neither Gates of the Arctic nor Kobuk Valley National Park are accessible by road, and few visitors venture into the parks’ wild valleys, rugged mountains and sweeping forests. During the summer months, I work as a wilderness guide leading visitors on canoe, base-camp, and backpacking trips in Gates of the Arctic, Kobuk Valley and elsewhere in the Brooks Range. This past summer, on a float trip down a wild river in western Gates of the Arctic, my clients and I went 14 days without seeing another human being. Fourteen. Two weeks. We had paddled our way down the river in canoes from the headwaters in the mountains, through an ever-widening valley and eventually out into the rolling tundra of the Noatak National Preserve. Kobuk Valley National Park, south and west of Gates of the Arctic, is the leastvisited national park in the United States. Only a few thousand visitors explore the remote area each year—many of whom are locals passing through the park on their way to and from hunting and fishing areas. While the broad forested valley is incredible in itself, a highlight of the park is the presence of seemingly out-of-place sand dunes. The Great Kobuk Dunes lie near the park’s southern border and are a bizarre mix of the boreal forest and the Sahara. The sand seems to move through the forest, devouring patches of trees here and there, and in other places the sand is reclaimed by the vegetation. I spent a few days at the dunes with some clients a few years ago. We tracked wolves through the sand, built sand castles and examined wildflowers found nowhere else. Alaska’s state parks are too numerous to list, but two in particular warrant attention. The first is our nation’s largest state park, Wood-Tikchik State Park in Southwest Alaska. Encompassing an array of salmon-filled rivers and rolling mountains, the park is undoubtedly wild—mountains, lakes, bear-viewing and fly-fishing for the huge runs of salmon and rainbow trout. Denali State Park lies just east of Denali National Park, and the two are often confused. Denali State Park is an accessible but little-visited gem. The core of the park is Kesugi Ridge, an expanse that stretches north to south through the core of the preserve. Established trails reach up many of the streams that flow down into the Susitna River below. Salmon and rainbow trout are abundant during the summer and the hiking through the tall cottonwoods and up onto the tundra of the ridge itself is excellent. On clear days, the views of Denali—officially known as Mount McKinley—and the Alaska Range cannot be beat. 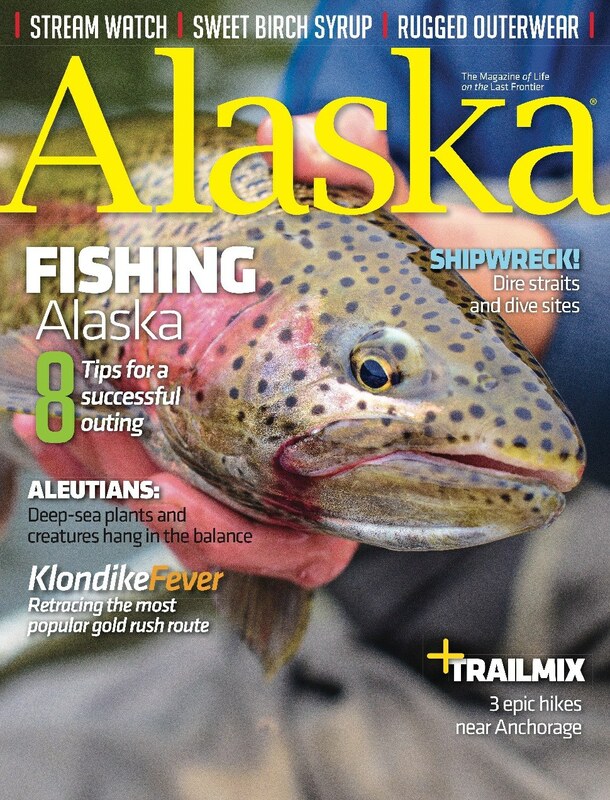 It’s hard to compress the parks of Alaska into one article. Each warrants entire volumes to adequately describe the mountains, glaciers, beaches and wildlife held within. The best way to get a grasp on them is to visit. Walk the tundra in Denali, float a river in Gates of the Arctic, explore the fjords or photograph a fishing brown bear in Katmai. Just beware—if you are anything like me, you may never leave. 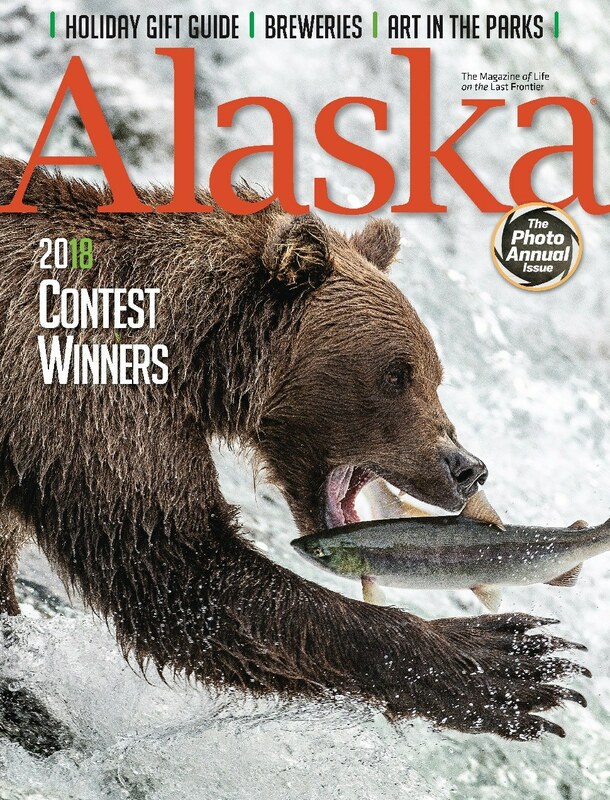 David Shaw is a writer, photographer, wilderness guide and wildlife biologist living in Fairbanks. Visit his website at www.wildimagephoto.com.